Question: Can I tow a 3500 lb. Cherokee with a 12′ UTV trailer and UTV (1800 lbs. total) with my 37′ diesel Motorhome? The motorhome weighs 22,000 lbs. loaded. GVW is 29,000 lbs. I have a 7000 – 8000 lb. hitch on the motorhome. Tow bar is Blue Ox, 10,000 lbs. Overall length is 66′. Answer: On the surface,it sounds like you should be okay from a weight perspective, but please double check the complete set of RV Weight Definitions: https://www.your-rv-lifestyle.com/vehicle-weight/ . In particular, see the distinction between GVW, GVWR and GCWR. Aside from whether your weight and capacities are in line, you should consider the regulations associated with overall length of the combination and triple towing restrictions. Below is a link for the ever-popular question about triple towing. The gist is that it depends on the state. You have to look at each state that you plan to travel through and determine what the law says about triple towing. Some states allow it some do not. There are maximum length limits per state so you have to be cognizant of that limitation. We suggest you check the current state-specific regulations. By the way there is also a lot of other good information included in this link, including requirements for auxiliary braking systems. Question: Can a Chevy 1500 5-spd 6-cylinder tow a 7400lb RV? Also be sure to contact the truck manufacturer directly and get any specs about towing capacity in writing. Don’t forget about tongue weight as you research the subject. Another good resource is to check the Trailer Life Towing Guides for year-specific towing information. Question: Can a SmartCar be towed behind a Class A motorhome? We suggest that you check the owners manual for the specific auto you are considering for towing. And it is worth a call the manufacturer as well. 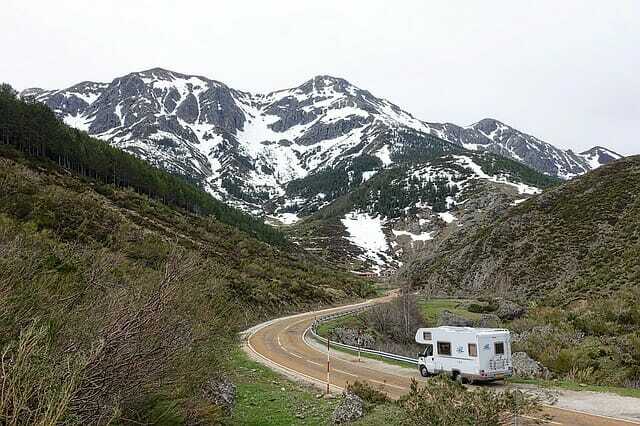 Generally, the Motorhome magazine and FMCA towing guides are a good place to start when considering towable vehicles. Note that even though a particular car model is towable for one model year, other model years may not be towable – especially if you want to tow four wheels down. So check and double check as you narrow down your choice of cars to purchase. We always suggest that in addition to using information published in RV-related guides, that you also look at the owner’s manual for the complete specifications, and contact the manufacturer directly if something is unclear. You also have access to the set of current and prior years’ FMCA towing guides if you are a member or join FMCA. Also make sure you understand RV weight considerations and take them into account when making decisions.